Show creator James Duff continues to tell relevant and riveting stories about the fine folks who work for the Major Crimes Division, which is led by Captain Sharon Raydor. The series continues to be a hit for the TNT network and if James had his way, the show would continue on for years to come. 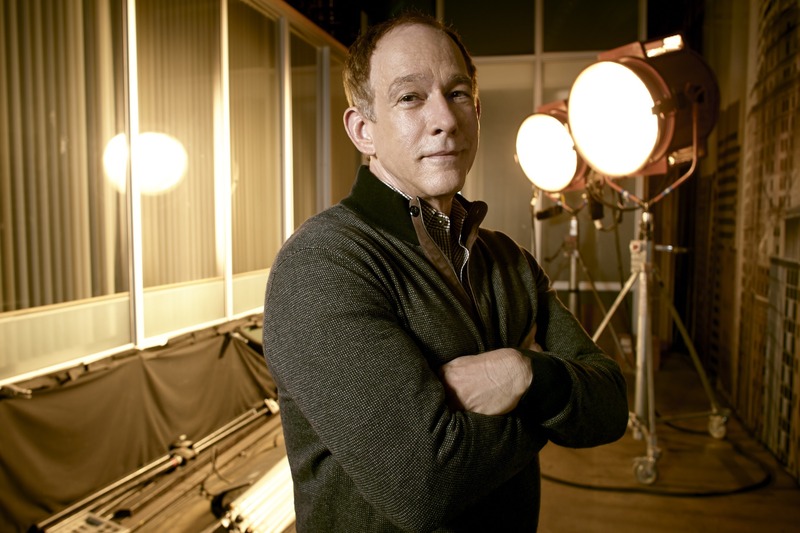 We sit down with James to talk about the current fifth season of Major Crimes, why he enjoys writing for the Rusty character, his love for the fans of the series and his thoughts on the possibility of the series coming back for another season. Pop Culture Principle – You ended Season 4 of Major Crimes with a five-episode arc. 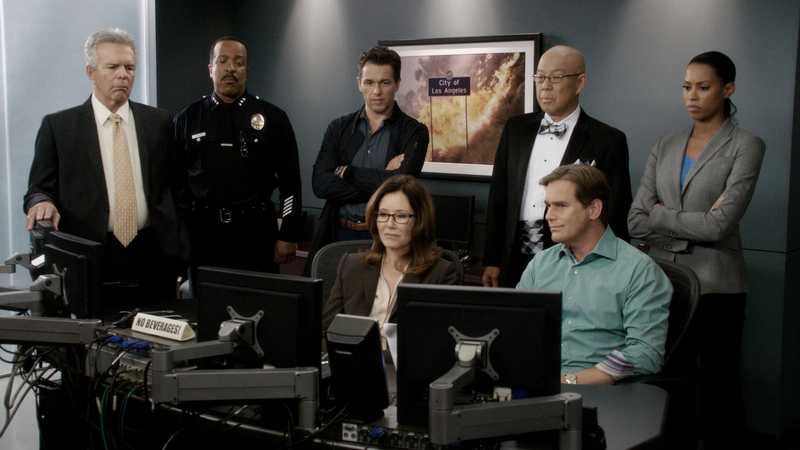 After seeing the episodes, how did that format fit into the world of Major Crimes and would you consider it a success? James Duff – Oh I do consider it a success and I think our audience really loved it. The response I got both critically, from the viewership and from the network, it was all so positive. The actors also were excited about the episodes. It’s funny because they were shooting the episodes without knowing how it was going to end, so they were going around with all kinds of crazy theories of who did it. Only one of the actors had actually figured out who did it beforehand. At the read through it was really funny because some of them hadn’t read the last scripts, so they were shocked by the end which made me very happy. It also gave us the chance to experiment with the style and shape of the show. We learned a lot in that process that we were able to apply moving forward. We were also able to take a lot of the relationships a little further than usual. We were able to spend more time with individual cast members having more big moments than they usually do. Although it was a lot of work, it was a really interesting and enjoyable experience. This season, we are going to do a three-parter, but it won’t look like a three-parter. We’ve learned a lot of really good storytelling tricks and we are applying them to the last five episodes of the summer. Pop Culture Principle – Each season of Major Crimes seems to have a theme. What would you say is the theme for the fifth season? James Duff – The theme for the fifth season is balance. How we balance our private and public lives. How we balance our virtual and our real lives. How we balance the past and the future. How we balance idealism and pragmatism. How we balance our primitive responses with our more rational selves. I like to write about the things that are resonating in my own heart and I’m hunting for balance in my own life, almost on a daily basis. I’m trying to figure out how to manage all the different things I need to do and integrate them. I’d like to be more of a whole person. Pop Culture Principle – We finally see Sanchez get closure with the death of his wife at the end of Season 4. Do you think the timing was right to close out that chapter of his life? James Duff – Yes. He’s been dealing with it since The Closer and it’s a case of extraordinary grief. Actually, at times it seems to be a case of untreated and undiagnosed PTSD. I felt like it was time because he needs to move on with his life. In waiting for closure with his wife’s death, he’s been unable to move forward in his emotional life. It’s almost like his emotional life has been stunted in some ways and he wants to grow and he wants some emotional resonance in his life. That’s why he’s trying to adopt a foster child and be a father since he doesn’t really feel like he’ll get a chance to be a real father. Again, it’s about achieving balance for him between his professional and personal life. When he does get a child, he’s needs to do that. Everybody who’s raising kids right now, has to figure out a way to balance their personal and professional lives. Pop Culture Principle – One storyline this season is Buzz reopening the case of his father and uncle’s murder. What can you tell us about the storyline and will it play out over the entire season? James Duff – Yes, it will playout throughout the season and it will resonate beyond. Rusty is making it the focus of his Identity and there is actually more in-depth story about Buzz’s work and what he is doing off-screen during the series. The journey Buzz takes trying to balance the scales of justice, it’s a very important metaphor for the concept we are thematically exploring. It’s also giving Phillip Keen a chance to utilize all his gifts. He’s the only character on the show now who has never had a big story line, so it was his turn. We set this up a couple of years ago and I always meant to come back to it, but it was one of those things that I felt this was the time to do the story because with the overall theme of this season being balance, his story seemed to fit right now. Pop Culture Principle – It seems Rusty will have a lot on his plate this season with his mother coming back and being pregnant, being in a serious relationship and more. Can you talk a little about all that’s on his plate this season and how have you and the writers enjoyed writing for this character? James Duff – Well, the character is based on me, so I love writing for this character. Graham’s performance allows me a chance to go back and revisit my youth and fix everything. I graduated from high school a homeless youth and I had no set place to stay. I overcompensated for my poverty and my lack of maturity in various ways. I mean, I was never trafficked and didn’t involve myself in that sort of thing, so this character is a way of me revisiting my youth in a more hopeful vein. It’s also a way of us dramatizing the ongoing problem with the homeless youth in America. Every night in Los Angeles, over 4000 unsupervised minors go to bed with no place to stay. Forty percent of the homeless youth are gay, lesbian or transgender. Rusty gives us a chance to thematically explore and to continually dramatize the plight of foster children and homeless kids in our society and our world and why we can’t solve it. Pop Culture Principle – We also see the relationship continue between Sharon Raydor and Andy Flynn. Can we expect to see a couple of bumps on the road for them this season? James Duff – Well, you can see some points of hesitation from Sharon. Andy wants them to move in together and he’s kind of pushing it hard. We’ll see what the final decision is and there will be a conclusion to it whether or not they will live together within the Season 5 boundaries. I also want to say that we have a couple of older romances on the show and I feel that it is also heartening to people. You can give up and thinks it’s all finished and done, but you can still find love. Love is still a transformative actor in the willing heart. Pop Culture Principle – Obviously, if the relationship continues between Sharon and Andy, does that mean we will see more interactions between Andy and Rusty? Does Andy see himself as a surrogate father figure too Rusty? James Duff – I think Andy sees a chance to be a father like Rusty’s mother sees the chance to be a better mother again. Flynn feels like he can be a more present adult in the life of a young person like he wasn’t with his own kids. He had a rough time with his daughter and has not always been very truthful with his family. He will be more paternal when it comes too Rusty. Pop Culture Principle – One of the more interesting dynamics at the end of Season 4 was the one between Kearran Giovanni and Jason Gedrick’s character. It seems as though there is more story to tell there. Would you agree and will Jason make a return in Season 5? James Duff – I would agree with there being more story to tell and if I can work it out where I have the dates and Jason is available, I will definitely bring him back. First of all, he is an amazing actor and a great collaborator. I enjoyed the give and take I had with him as an actor and it reminds me very much of the relationship I have with Jon Tenney. Jason’s character definitely prophesized that they would be back together. At the end he says, “One day, you’ll be looking up from the witness stand at some scumbag defense attorney and you’ll see me whispering in his ear and then you’ll know.” I feel like we owe the audience that episode and we need to see is he really that way or is he not. Pop Culture Principle – We’ve already seen the return of D.B. Sweeney’s character so far this season. Can we expect some past characters to return in Season 5? James Duff – D.B. is a wonderful actor and just a great guy. Someone should snap him up as a series regular because I can’t believe that I have access to him. He’s able to communicate so much with so little. He’s an economical performer and he really does his job and you can really count on him. I’m looking for a chance to bring back Mark Pelligrino depending on his availability. Provenza’s wife Patrice will be coming back as well as D.D.A. Hobbs of course comes back a lot. We have an alum from Downton Abbey who makes a guest appearance on the show as a London journalist. Firearms Francine comes back from the five parter at the end of Season 4. We have an interesting search for a weapon in the Venice canal that ends up at her office. The actor who plays Firearms Francine is Cheryl White who is an amazing actor and wonderful to work with. Also, Dr. Joe will be coming back which should be great fun. It still shocks me that there are so many amazingly talented people in our industry who we get to work with on our show. Pop Culture Principle - One of the things the Law & Order franchise is known for is ripping stories from the headlines. Although Major Crimes have had a couple of cases like that, it seems like you tend to shy away from those type of cases. Is that intentional on your part? James Duff – Actually, whenever we criss cross with a headline, it’s usually an accident. We sometimes anticipate the headlines. When people say to me Law & Order is ripped form the headlines, I tell them we are ripped from the heart. We make up our mysteries, but we make up our mysteries based on what would really happen in Los Angeles for the most part. We don’t setup situations, we setup characters and we talk about characters and that is our way into the story. If we do take a story from the headlines, you can be pretty sure that we are going to be using it to leverage your pre-conceived notions so that you will be going one way and we’ll end up going the other way. Pop Culture Principle – TNT recently announced that it was ordering eight more episodes of Major Crimes. Did that order of extra episodes surprise you? James Duff – The network has an idea of what they would like to accomplish with their new programming and they are sort of in between what they are and what they want to be as a network. I can’t be critical of a corporate attempt at rebranding in an environment like we are living in. Let me say this, TNT initially said they only wanted 13-episodes and then they came back and said they wanted eight more. I took that as a positive sign and I take our ratings as a positive sign. I know that they want to rebrand, but I also know that they don’t want to fire their audience. So, I am hoping that the continued success of the show will argue in favor of it continuing, but I also know that there is a larger corporate strategy at work to which I am only a small speck. So much depends on their larger goals, but we feel that Major Crimes could be a part of that, but the decision making process is not ours. We are happy to have the eight episodes and we take it as a signal of faith and optimism. Every year since Michael Wright has left, there has been a question about what they should be doing and how they are going to go about doing it and what does success mean. I’m not really part of all those conversations. I can say that the people with whom I work with creatively at TNT are the best I have ever worked with in that capacity in my life. I have been with the same guy, Sam Linsky who is not only a great collaborator, he’s also a very good friend and someone that I trust. I really enjoy doing this job and I am ready to do more, but I won’t be bitter if we do less. You know, it’s the twelfth season with some of these characters and I am just glad that the audience has stuck around for us. If that were all these days, I could rest easy, but these are complicated times. Pop Culture Principle – As a series creator, your audience is very important. 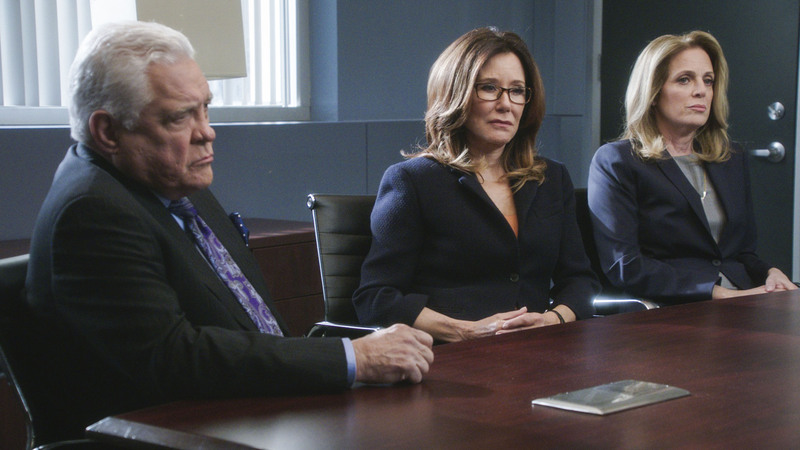 The Major Crimes audience is not only completely loyal, but they’ve come up with nicknames such as Shandy for Sharon and Andy and some characters have their own fan clubs like the Flynn Girls. How does that make you feel knowing fans truly love the characters you’ve created? James Duff – I love it honestly. I have only been to the fanfiction sites once and only read one of the stories. I was stunned about how much people wanted to know about these characters. If I had all the time that the new shows on TNT have, I could go into more details about these characters, but I totally understand. I love the audience and I love their participation and I reach out to the audience a lot. I write a blog and we also do live video chats with different cast members and people from the show. Our audience has stuck with us so much, we really do want to respect them and stay in touch with them. I love the immersive attitude that they have adopted towards the show and it’s very encouraging. It means more to me than any award to be in close touch with the audience. We would like to thank James Duff for chatting with us about all things Major Crimes. 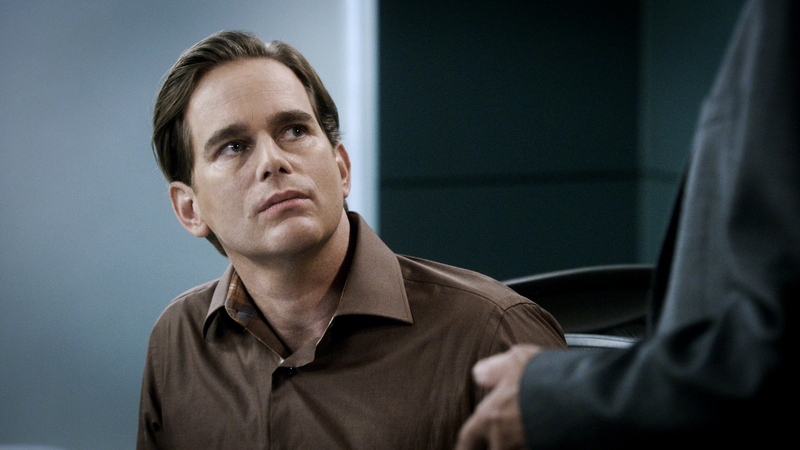 You can catch all new episodes of Major Crimes every Monday night at 10/9c only on TNT!